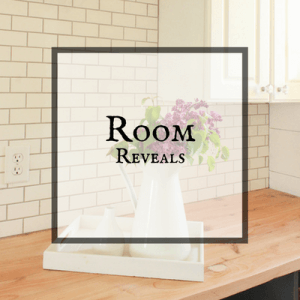 Many of you have seen the final reveal of my One Room Challenge Laundry Room Remodel. Many of you may not, I strongly encourage you. It was a project full of blood, sweat, and tears. 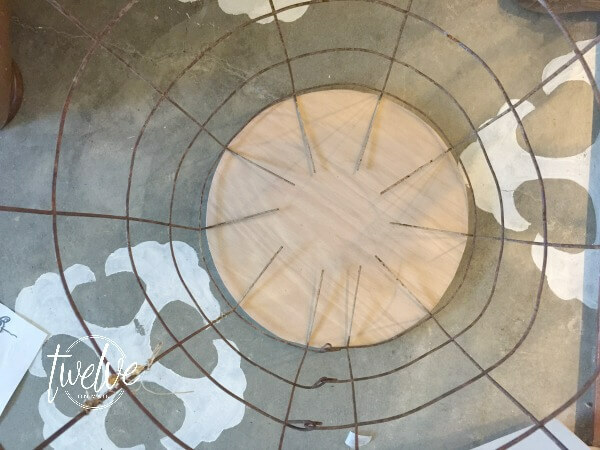 I have had some requests to show how I made my “tomato cage laundry baskets”, for this project we will call them DIY wire laundry baskets. I called them “tomato cage laundry baskets” was for one very simple reason. These wire rounds were being used as our tomato cages in our garden up until about a week ago. You see, during this 6 week challenge of remodeling my laundry room, I had ordered some pretty fantastic industrial style laundry carts that were to go in the laundry room. Well, 2 days, count it, 2 DAYS, before my room was to be revealed, I found out from the company that the laundry carts were on back order. I was so mad. I feel like I ask this often, “why would you sell something and guarantee a specific ship date, especially when someone pays extra for 2 day shipping if they are on back order. Also, why in the world did I not receive an email about this either? I had to call the company to find out why they hadn’t shown up yet. Basically, this news put me into a panic. I practically live in the middle of nowhere. A place where I cannot run from store to store looking for what I need. So, I used what I had, tomato cages and dropcloth. Now, if you do not have tomato cages in your backyard. There is an easy fix. You can find rolls of wire mesh fencing at your local home improvement center. You can take that wire and create the same shape by creating a tube with the wire and securing the ends together. Now back to my story…. I hustled out to my garden and found the nicest ones I had. 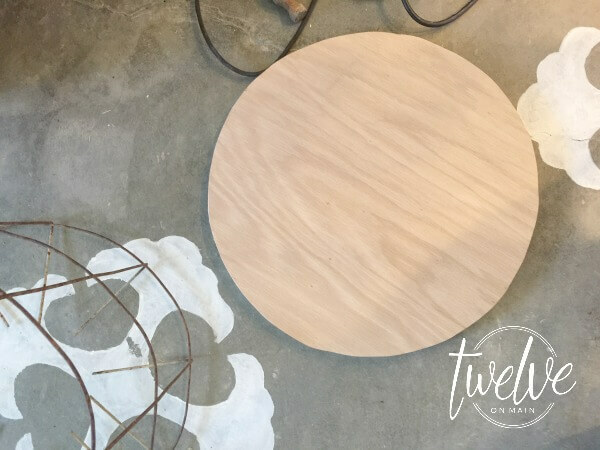 I brought them into the garage and traced circles on my plywood that was the same circumference as the wire. I then used my jig saw to cut out the rounds. 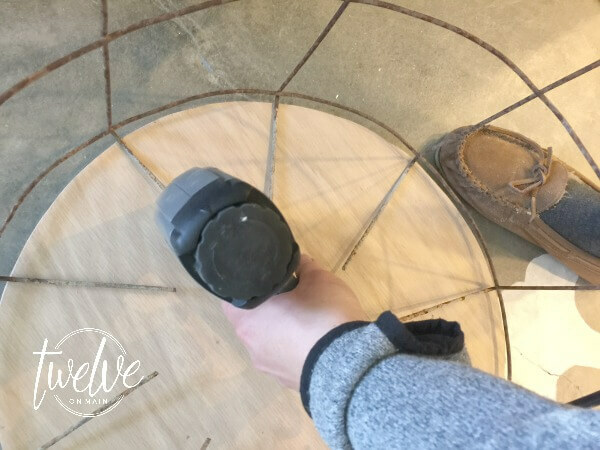 These rounds will serve as the base of the DIY wire laundry basket. The wire tomato cages had long single wires on the bottom that were what we used to secure them into the ground. I bent these down into the center of the wire “cage”. Once they were all bent in, I set it on the wire round. The wires should lay flat onto the wood round. I grabbed hold of my trusty electric stapler. Ladies and gents, this is a must have! It saves you so much time and you dont need to be a super strong man to staple into this wood. I stapled all the wire into the wood round, making sure it was centered, every once in a while having to adjust the wires. Once the wire was secured, I used my grinder to smooth out any sharp edges of the wires on the top of the basket. I didn’t want to have the dropcloth laundry bag that will be places inside. The bag was really easy to make. I measured the height of the basket and the circumference to make sure it is the correct size for the baskets. Have you ever bought a store bought laundry baskets with the canvas liners? They are always too small for the basket. Not this one. I wanted it to fit and hold all the laundry I could throw at it. I cut a rectangle of dropcloth. 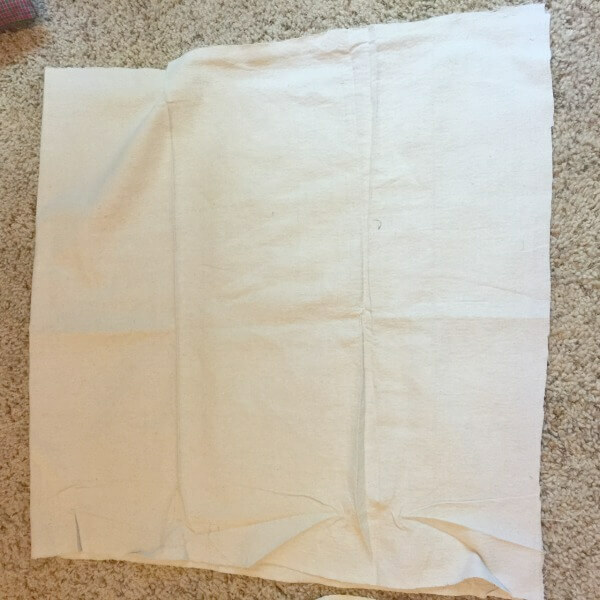 I cut three rectangles and then three rounds that will serve as the bottom of the laundry bag. 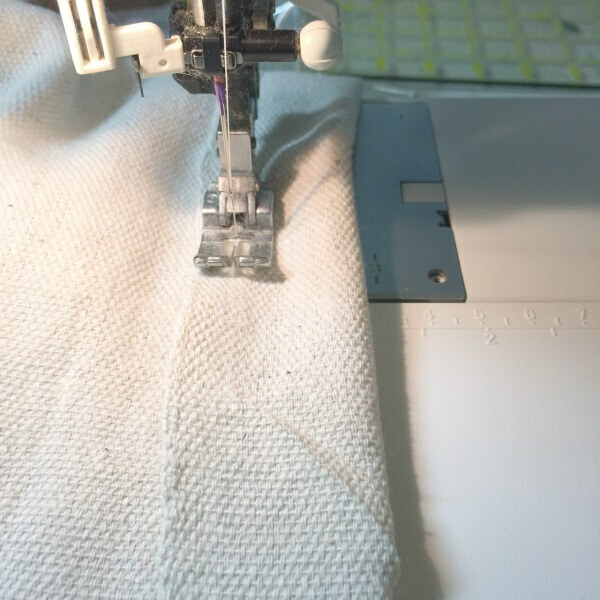 I took the short edges of the rectangle pieces and sewed them together. 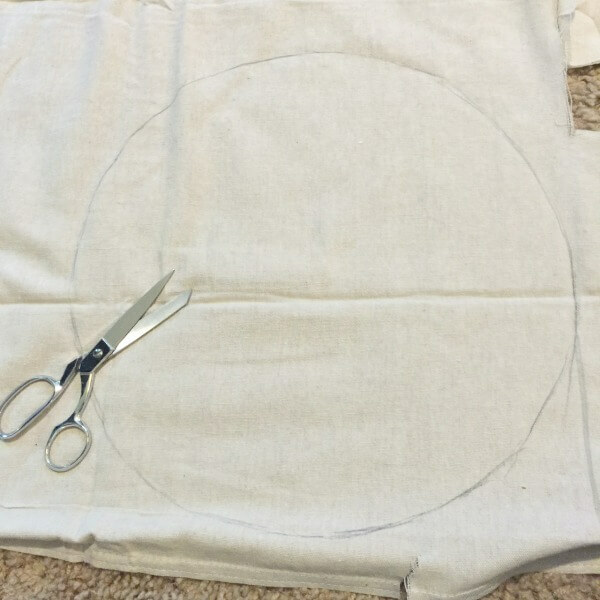 Then while it was inside out I sewed the circle piece to the bottom. I used my pins to secure it to the other piece of dropcloth. 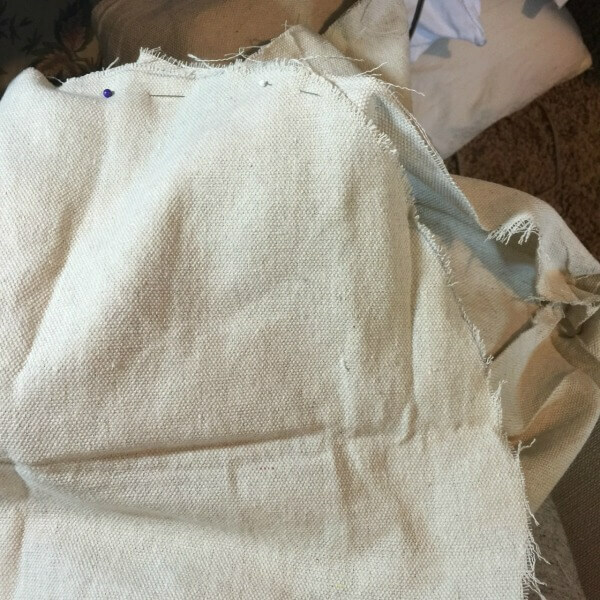 Once the round piece was sewn to the wall of the bag, I turned it right side out. I then folded the top down 1 inch. This was sewn as well. Don’t fret, it will all work out. 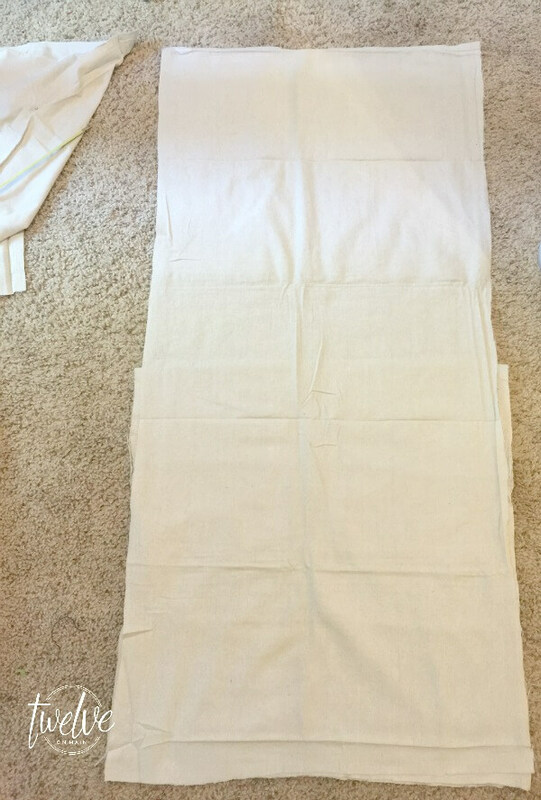 Once you put the laundry bag into the basket and fold over the side of the bag, the finished edge will be showing. The last thing I did was cut a small hole in that top hem, right at the seam. I used this hole to feed my rope through. It now has a draw string! I set them in the baskets and tied the drawstring. I now have “tomato cage” laundry baskets. Since my wire had been outside for a long period of time, I do think I will go back and spray paint the wire so that the rust doesn’t damage the laundry bags. 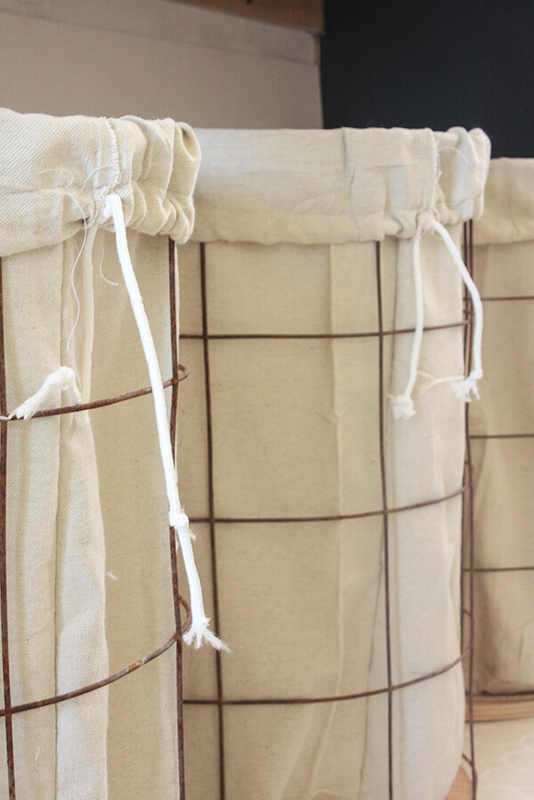 These DIY wire laundry baskets took about 2 hours to complete. That is including the sewing of the laundry bags. I love, love, love these laundry baskets. These cost be all of about 40 dollars to make. The ones I was going to purchase were only about 300 dollars total. Hows that for an ironic end. That lazy company that didn’t guarantee their product, even when they do guarantee it managed to save me a nice chunk of change. Here they are in their new home. They sure make me happy. I like this even more than the bought ones! 🙂 Great job. Wow! I’m impressed – I had no idea those were handmade. They look great and that’s such a great idea to use the tomato cages. I love how you just jumped into action and decided to just make your own. I wouldn’t even know where to start. I’m amazed that you also saved that much money!! Crazy!! Thanks Christene! The laundry baskets I was purchasing were a pretty penny. I kind of cant believe I was going to spend that much! Marion, I actually had planned on adding casters, and I still am, I just havn’t found the ones I want to use for them yet! Thanks so much! I have only seen the wire tomato cages that are narrow at the bottom and wide at the top. I’ll need to look and see if my local garden and big box stores sell the kind you used. If you cannot find them, you can buy the wire fencing that it is made from and create your own. We have done this before and it is pretty easy to do. You can then customized the size of them. 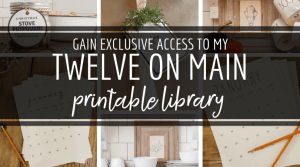 These are perfect for your new laundry room! 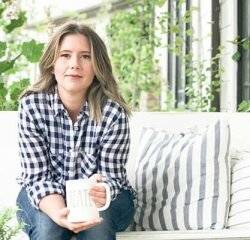 You have some of the best DIY farmhouse tutorials. I LOVE these and I love your laundry room. We are building a new house and I am looking for laundry room ideas. I think I may have to make something like this. That sounds great Kayla! Good luck on your build! 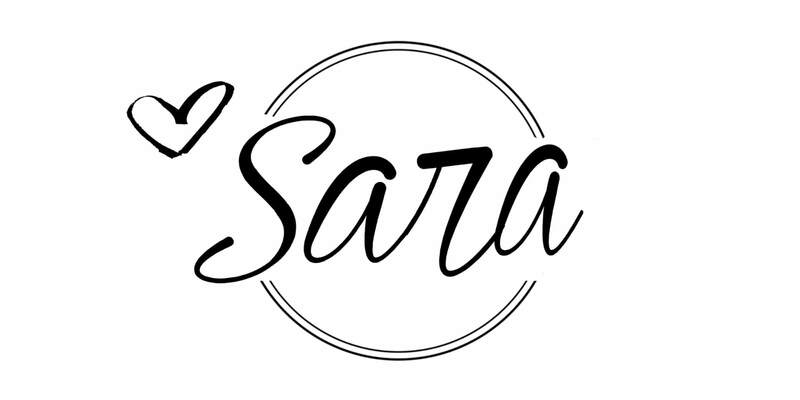 Hi Sara, this is brilliant and I love it. I saw a tomato cage used to do a DIY Kerplunk game recently and now this. I know I have some tomato cages somewhere! My Goodness you are so freakin creative, this is such a cool idea! I would have never thought of that! Seriously. I love those laundry baskets! I’m sorry you didn’t get your order, that would’ve annoyed me a lot! But hey, you made these beauties instead, good for you!!! I love you “use what you have” solution, dear one! Love, love, love your laundry room! Thanks for sharing for Talented Tuesday. I featured this post on my blog tomorrow at 9AM. Be sure to grab a featured button! Yay! Thank you! Ill stop by! Found you via The Cottage Market link up today! 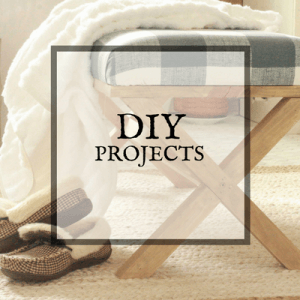 I am IN LOVE with your DIY laundry baskets! Also, your laundry room looks fabulous! I’ll be following along now for more inspiration! Yay! Thanks for stopping by! Hope you have a great day! Sara, you didn’t know at that moment (when you were told the baskets were on back order) but it has been a blessing. That has kind of forced you to use your imagination again and end up with those super cool laundry baskets. I don’t know how pretty were the ones you planned to buy but yours are awesome!! Thank you so much Pili, it was a crazy situation, but I am so glad it turned out this way! 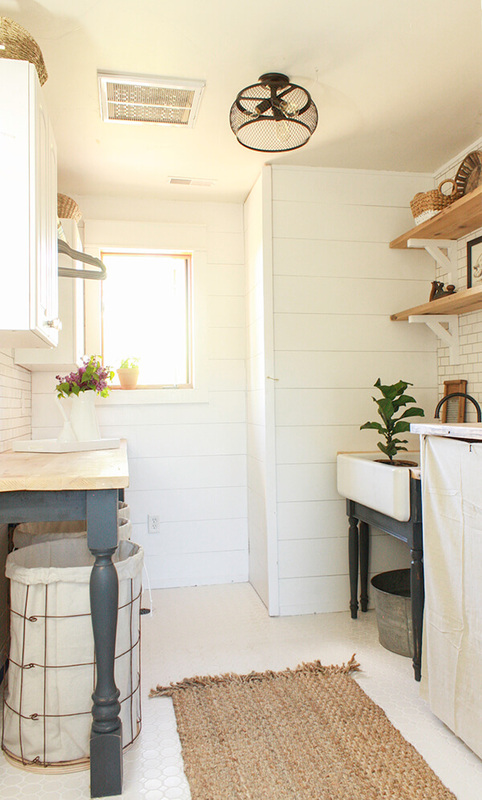 Just love your entire laundry room, including those handmade baskets. I probably wouldn’t mind standing in front of those machines all.the.time if my laundry was that pretty! Visiting from Remodelaholic. Yay Voctoria! I a so glad you visited! Thanks so much for the kind words! It truly is much more enjoyable to do laundry now! That is pretty stinkin’ clever! I do understand your irritation at the company. There is no reason for that. This is so clever! And since I can’t find new hampers that will fit in my space (the old ones are coming unraveled after years of use), this might be the ticket. At least temporarily. Thats great! I made them as a temporary fix, and decided to keep them! I love these baskets! What kind of material did you use for the laundry bags? How tall are the baskets? And what is the height of the counter top? 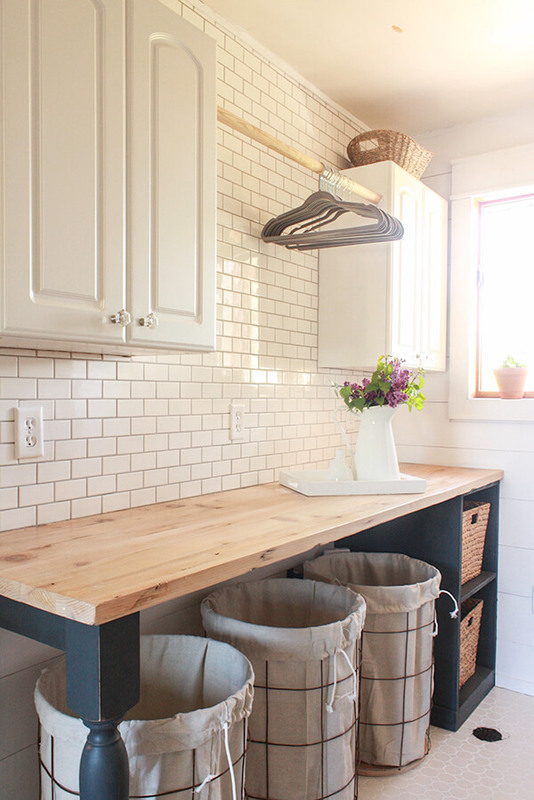 I am doing something similar to this in our laundry room, and I’m not sure how much space I should have between the top of the baskets and the counter. Thanks so much for your help. You are so creative! Hi there! I have a few tutorials that could help you. The laundry bags are made out of painters drop cloth. Check out my laundry basket tutorial and my laundry folding table tutorial. This is so clever! I wouldn’t have thought of it. I would have panicked and fumed. Ground my teeth and snarled! Haha. I’ve never understood either how a biz can guarantee something & then it’s not there. Yes the rollers would complete it & like you say, a project for a rainy day. You made it look really easy. Pinned. Oh believe me, I growled, snarled and stomped my feet:) Thanks so much for stopping by! Can’t believe they have worked out so perfectly! LOVE, LOVE, LOVE these laundry baskets!!!! I want some! I am going to run out and get some tomato cages and I already have the drop cloth! 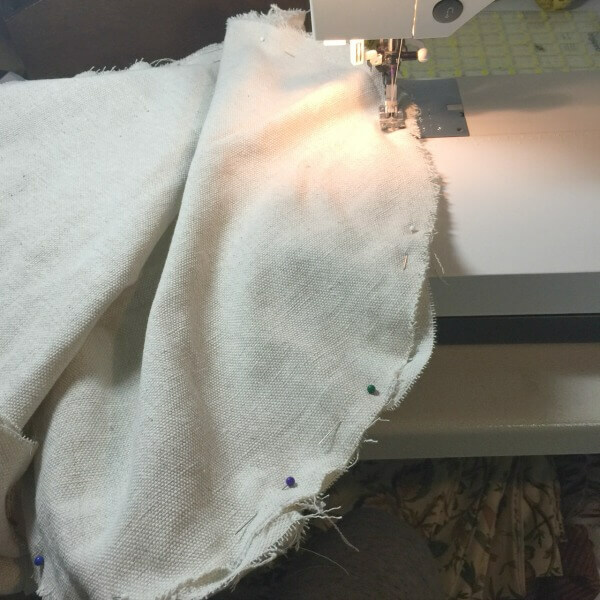 My Mom is a whiz at sewing anything so, I going to get her at it as soon as possible!!! Thnak you for the tutorial! That’s very clever and attractive. What a creative idea! I think I will be making some soon! Thats great! Thanks so much for stopping by! Seriously?!? I am going to make these ASAP!!!!! Thank you for sharing your amazing ideas! I love your style and your creative thinking!